MDS – Conservative Dentistry and Endodontics: Obtained MDS degree with 73% under RGUHS, Bangalorefrom Dayananda Sagar College of Dental Sciences, Bangalore. Obtained BDS degree from Government Dental College & Research Institute, Bangalore.Languages Known English, Hindi, Malayalam, and Kannada. Membership in various scientific societies. Post BDS, 4 years experience. Expertise in examination of patients, interpretation and evaluation of radiographs to diagnose the disease of dental pulp and periapical tissues of teeth, various aspects of cosmetic dentistry like tooth Bleaching, Direct and indirect veneers, restorations. 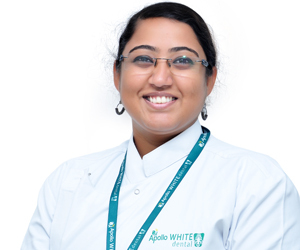 Expertise in various aspects of endodontics like root canal treatment of simple and complex anatomy , trauma cases, endo Perio cases, resorption of teeth, post endodontic restoration, laser endodontics and endodontic microsurgery.